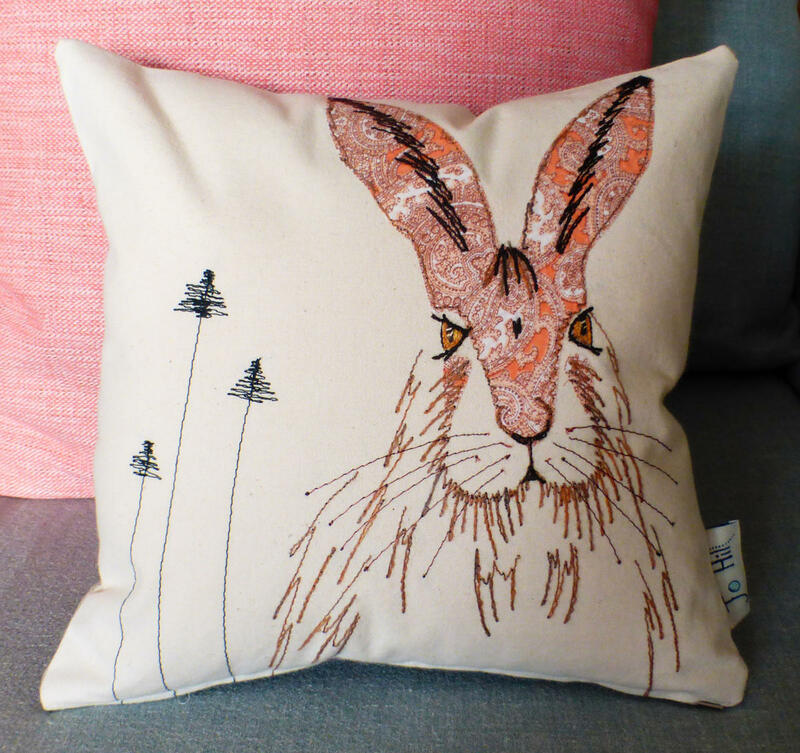 This beautifully soft cushion is a high-quality print of Jo's original hare design and is an excellent reproduction of the original embroidery. Each cushion is printed using state of the art printing technology and archival inks which ensures durability and colour vibrancy. They are stitched with a white fabric backing and have a white zip on the back. The design is printed onto linen-look polyester and each cushion comes supplied with a removable insert for ease of washing. 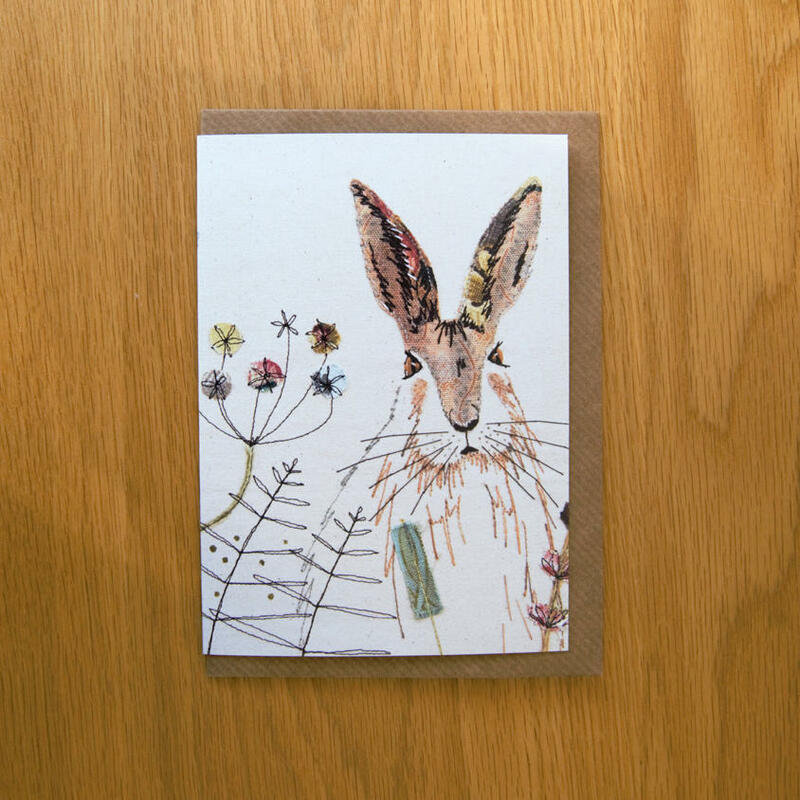 Grow your British wildlife collection with designs across the Jo Hill range! Canvasses and lampshades are also available. 100% polyester insert. Virgin Fibre (not regenerated) Filling complies to BS 5852 Part 2. Delivery charges start from £4.50 for one cushion. Since the cushions are all printed and made to order, please allow 5-6 working days for UK delivery. Please note that any international orders for cushions will be sent cover only (without the insert) in order to keep postage costs to a minimum. Please allow 2-3 weeks for delivery. See reviews with customer photographs here.